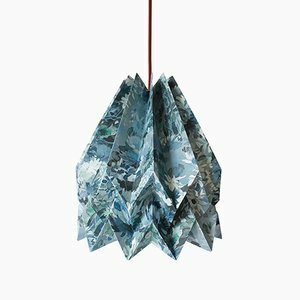 Founded in 2013 by Ana Morgado and Carmo Caldeira in Lisbon, Portugal, Orikomi is an eco-friendly brand that combines sustainable, recyclable design with contemporary lighting. 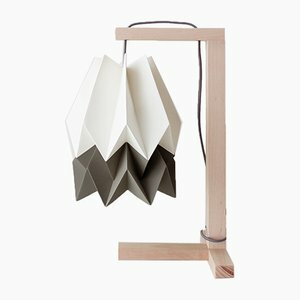 Morgado and Caldeira met while studying together in the Architecture Faculty at the Universidade de Lisboa. 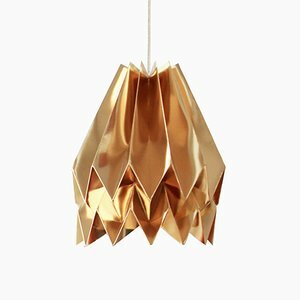 The pair has been collaborating together as architects since 2008, when they established their own studio, blaanc, alongside architects Lara Camilla Pinho and Maria da Paz Sequeira Braga. 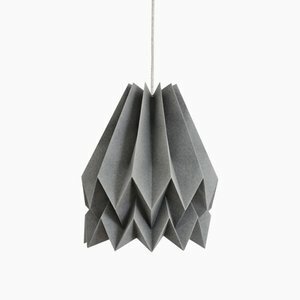 In 2011, blaanc co-founded the non-profit association Adobe for Women, which aimed to build housing for women in need. 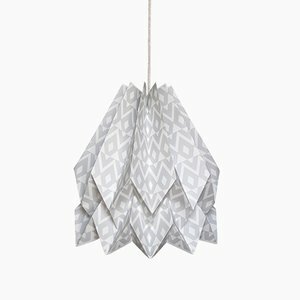 The project focused on 20 women in Mexico, providing them with sustainable construction techniques that can be used in their daily routine as well as a viable source of income. 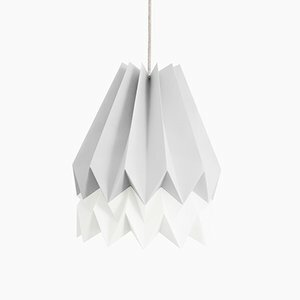 As a way to fund this project, Morgado and Caldeira established Orikomi. 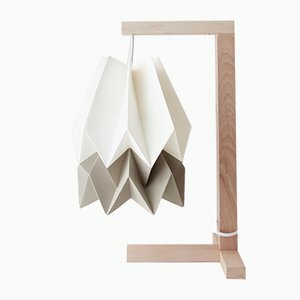 Fascinated by the architectural accuracy that origami affords, the pair started experimenting with paper, transforming 2D objects into stunning 3D, architectural sculptures. 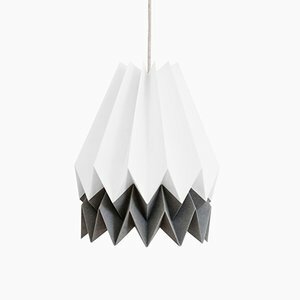 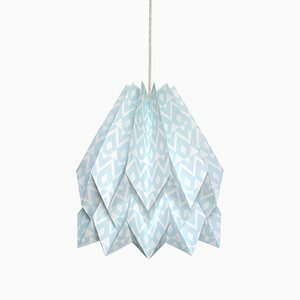 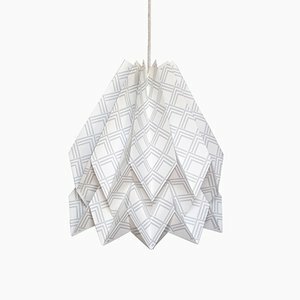 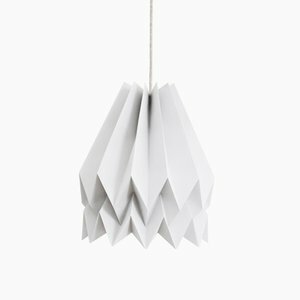 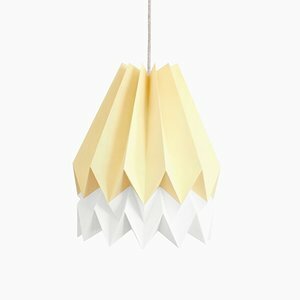 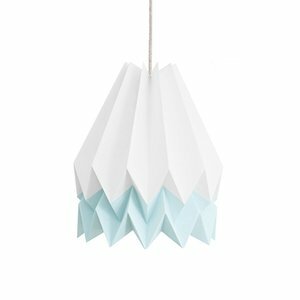 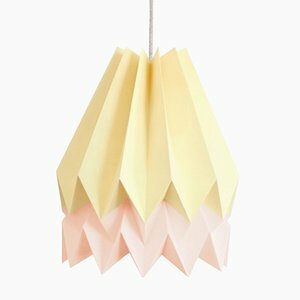 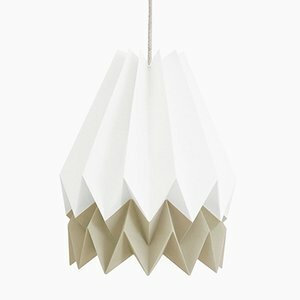 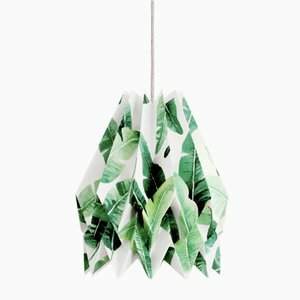 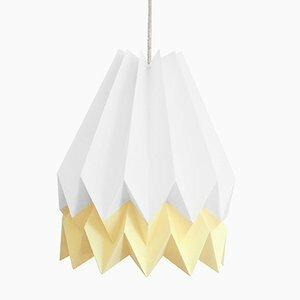 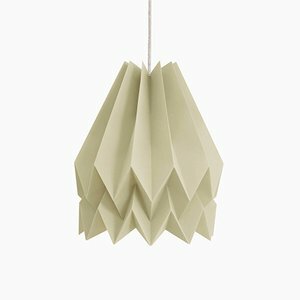 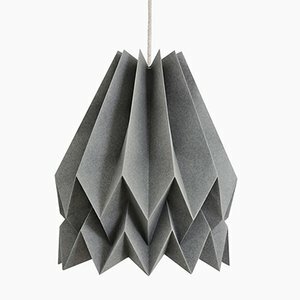 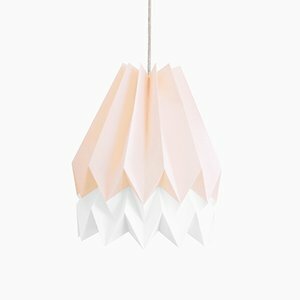 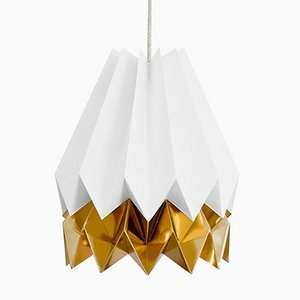 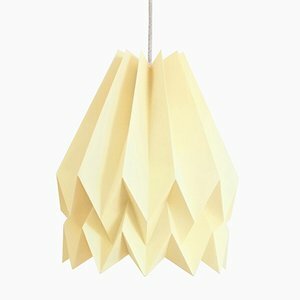 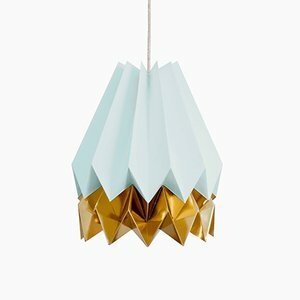 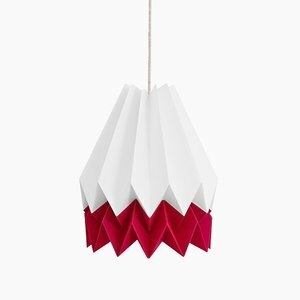 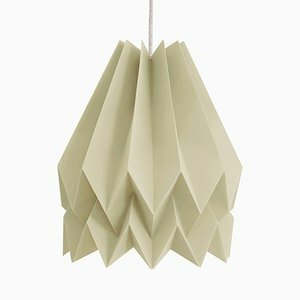 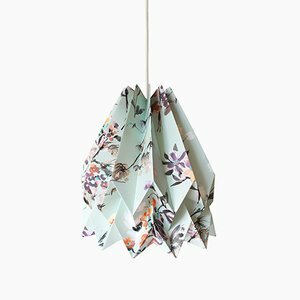 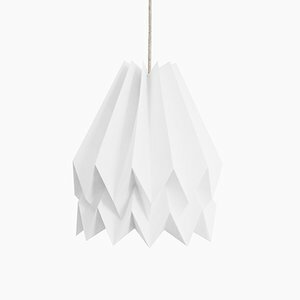 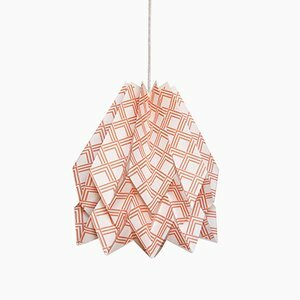 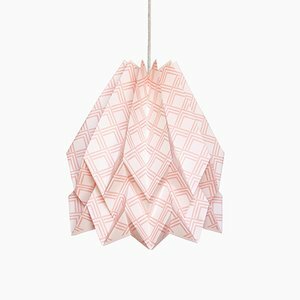 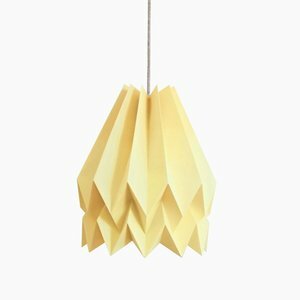 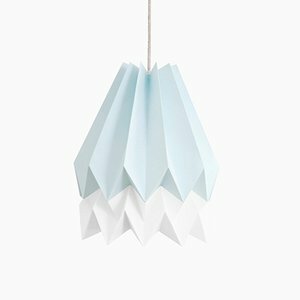 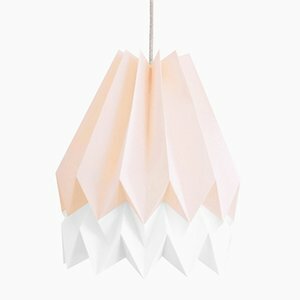 Each Orikomi pendant lamp is a hand-folded construction using high quality, 160 gsm paper and fabric-covered cable. 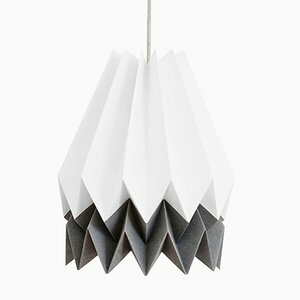 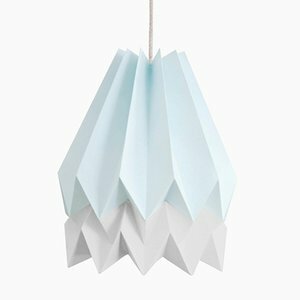 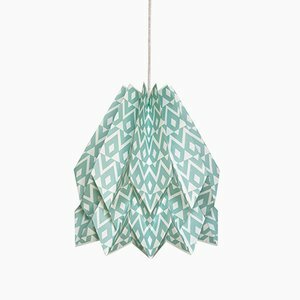 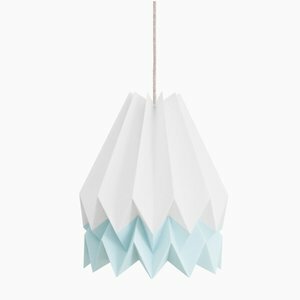 Available in a wide range of colors and sizes, the lamps are made from recycled paper and use energy efficient light bulbs. 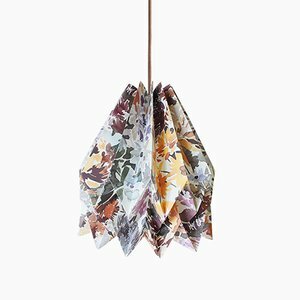 Orikomi has also collaborated with other designers and partners to produce special collections, such as the geometric Native Collection, with Portuguese designer and ceramicist Sofia Sustelo of Homes in Colour, or the expressive Wildflower Collection created in collaboration with textile brand Barbara Osorio Fabrics. 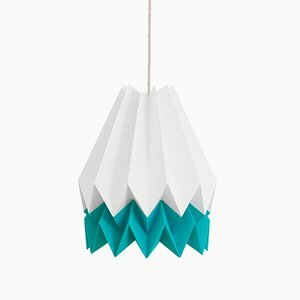 In 2016, the association was able to build 20 houses using the profits from Orikomi sales. 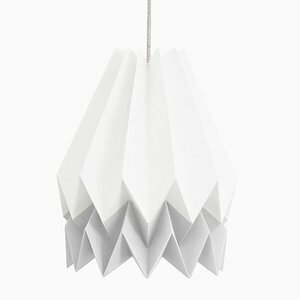 Both Morgado and Caldeira hope that Orikomi can help raise money for other non-profit humanitarian projects in the future. 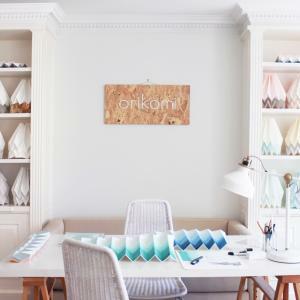 Today, Orikomi is sold worldwide through retail shops throughout Europe, as well as in Australia and the US.